UPDATED: Thu., Jan. 31, 2019, 5:42 p.m.
As quickly as Eastern Washington guard Tyler Kidd can change direction, so have the enigmatic Eagles. The diminutive junior – he’s admittedly 2 inches shorter than his 5-foot-11 listing – has been a key component in EWU’s recent turnaround. Since Kidd was plugged into the starting lineup in a 78-71 upset of Big Sky Conference favorite Montana three weeks ago, the young, guard-heavy Eagles (6-13 overall, 4-4 Big Sky) are 3-1. Kidd has averaged 15 points and nearly five assists in that stretch, rarely stepping off the floor. Proven forwards Mason Peatling and Jesse Hunt have been constants, and spring-heeled shooting guard Jacob Davison is back to his high-scoring form after a pair of injuries. It’s been the play of the left-handed Kidd, however, that has given the Eagles an effective uptempo dimension as they head into a two-game homestand with Southern Utah (9-9, 4-5) on Saturday and Northern Arizona (6-13, 4-5) on Monday. Kidd, a junior college transfer, has waited years to prove he’s a Division I commodity. At O’Dea High School in prep-basketball-rich Seattle, Kidd was an All-Metro selection who helped his team reach the state tournament, but he didn’t generate much big-school attention. Cal State Bakersfield and Furman showed some interest, Kidd said, but poor grades forced him take a circuitous route to reach his Division I goal. After graduating from O’Dea in 2014, he spent a year at a prep school in Raleigh, North Carolina, where he said he faced some of the best teams in the country, including national power Oak Hill (Virginia) Academy. Kidd returned to the Pacific Northwest the following year and enrolled at Skagit Valley Community College in Mt. Vernon, Washington, 60 miles north of Seattle, where he was one of the better guards in the Northwest Athletic Conference. He was still working to become NCAA Division I-eligible during his two years at Skagit Valley, generating interest from good Division II programs, including Western Washington and Alaska-Anchorage. Legans, an undersized guard at Cal and Fresno State in the late ’90s and early 2000s, liked Kidd’s quick feet and ability to score and defend. “Watching him in junior college and seeing him out here, he was always quicker than everyone and got his shot off quick,” said Legans, who signed Kidd in 2017. Legans figured Kidd would immediately contribute alongside now-graduated star guard Bogdan Bliznyuk, but Kidd hit another snag after enrolling at EWU during fall 2017, he said. 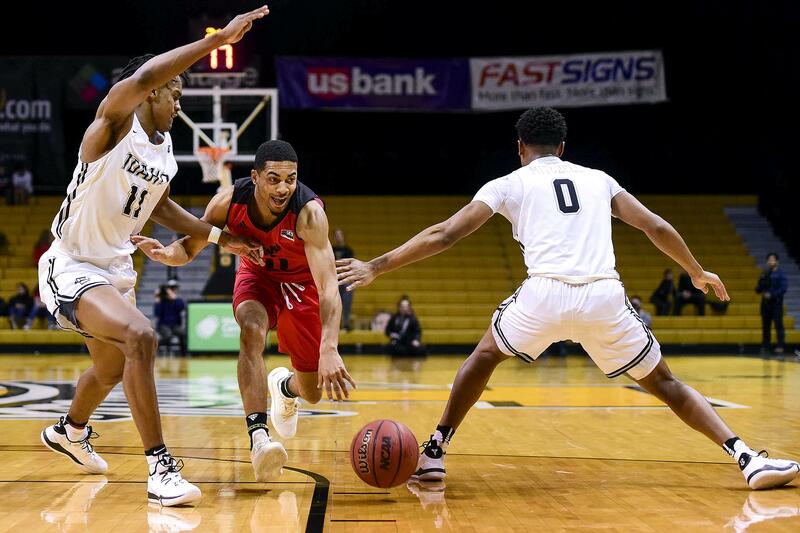 Without Kidd, EWU looked to true freshman point guard Jack Perry, who helped the Eagles finish with a 20-15 record and reach the Big Sky Tournament title game. A rash of injuries and daunting nonconference schedule this season played into the Eagles’ 2-9 start, forcing Legans to tinker with different lineups. Kidd’s minutes fluctuated early, but after scoring 10 points and dishing out four assists off the bench in a loss at Northern Colorado last month that dropped EWU to 1-3 in conference, he’s been a starter. He’s scoring in a variety of ways, from transition buckets and 3-point shooting to driving in the flow of a halfcourt offense. In a 94-92 overtime win at Sacramento State last Saturday, Kidd drove through a host of defenders late in the second half, dribbled out to the perimeter, made a shifty move and connected on a 3-pointer over the outstretched hand of 6-7 defender Ethan Esposito. Published: Jan. 31, 2019, 5:08 p.m. Updated: Jan. 31, 2019, 5:42 p.m.